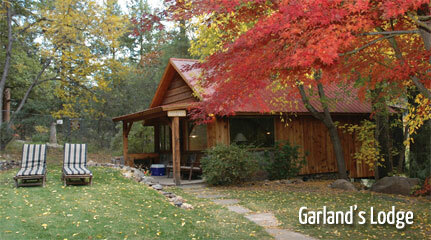 Chances are that one of the key motivating factors in planning your vacation to Sedona is its marvelous weather, right? You're probably wondering about the forecast for your specific trip dates, and you're likely interested in getting some advice on what kind of clothes to pack and when is the best time visit. 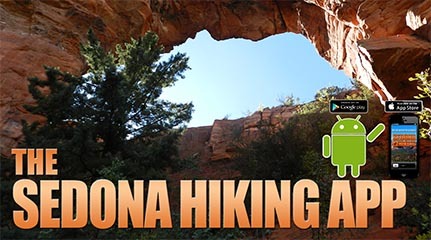 The spring and fall are the most popular times of the year, due mainly to Sedona's ideal weather conditions of blue skies and daily high temperatures in the mid-60s to low 80s (degrees Fahrenheit). 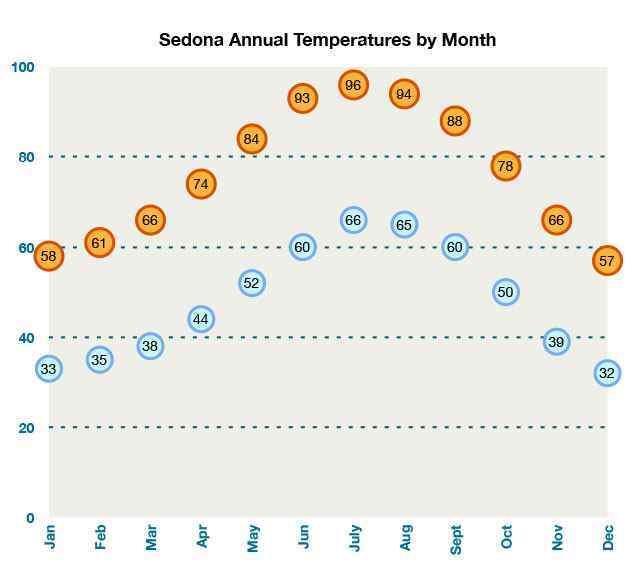 However, as one can see from the average temperatures each month of the year, there is no bad time to visit Sedona, and in fact, coming to Sedona in lower seasons such as late summer and winter, or Sunday through Thursday year-round, is a great time to find better hotel prices and fewer crowds. 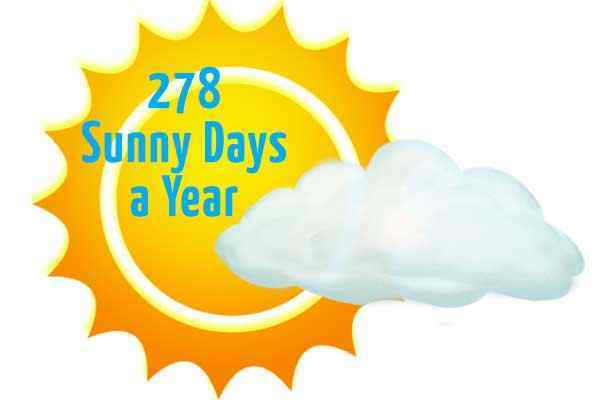 Sedona enjoys 278 sunny days per year. Be sure to pack a brimmed hat, comfortable sturdy shoes, a high SPF sunscreen and a camera. 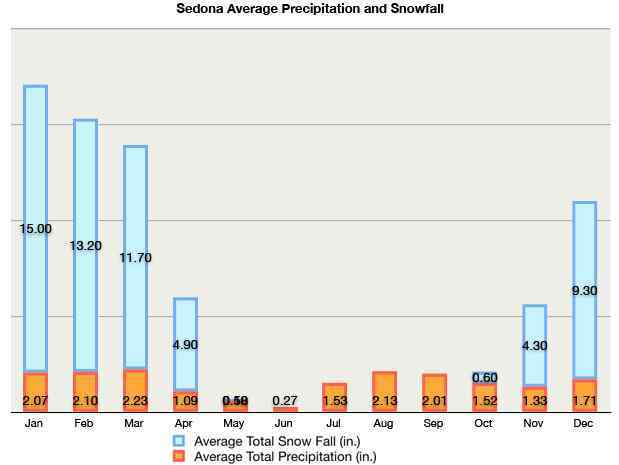 At an elevation of 4,500 feet (1,372 meters), Sedona receives a fair amount of snow up on the Mogollon Rim, but only experiences a few inches per month on the ground in the winter. This kind of moderate winter weather makes visiting Sedona in the low season a pleasure; fewer crowds, easy layering pieces to pack and wear, and usually dry road conditions for the entire drive up from Phoenix are just a few reasons to visit in December, January and February. And the red rocks look positively spectacular when dusted in white. Do use caution when driving up Highway 89A toward Flagstaff in the winter; as you climb, you're more likely to experience snowy conditions on the already winding, steep portion of the scenic route. 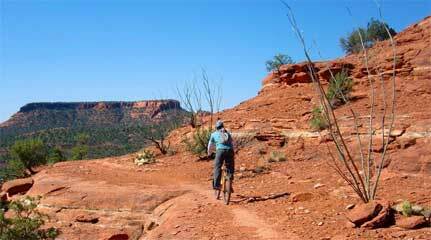 Conversely, in the summertime, Sedona experiences rainfall mostly during the August monsoon season. When the dew point rises in the late summer months, Arizona experiences quick, intense thunderstorms. These monsoons contribute to rapidly shifting swings in weather, but locals will tell you that the monsoon season is one of their favorite times of year because it brings relief to seasonally high temperatures and makes the landscape incredibly verdant and fragrant. The red rock formations really 'pop' against a dark grey and stormy backdrop. Use caution when hiking or playing in Oak Creek, such as at popular swimming holes like Slide Rock, Grasshopper Point. A surprise thunderstorm can cause dangerous flash flooding or ruin a return hike back to your car. With such mild, pleasant weather in which to get out and play (and play you will!) 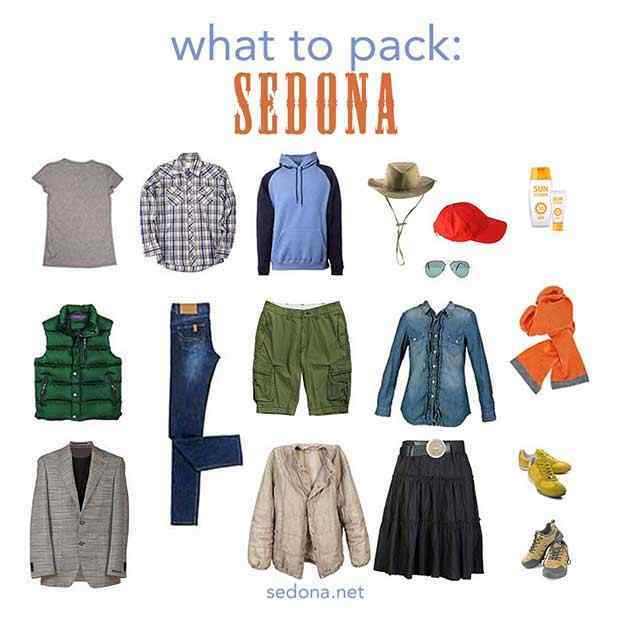 the best thing to pack for your Sedona trip year-round is casual light layers. You'll be welcome almost anywhere you go, shop or dine in casual clothes, and unique personal style is celebrated here.